KAGAWA, JAPAN - APRIL 29, 2014 : The celebration day of military base was made in Kagawa Prefecture. Soldiers marches for a parade of military. Apr 29, 2014 in Kagawa, Japan. 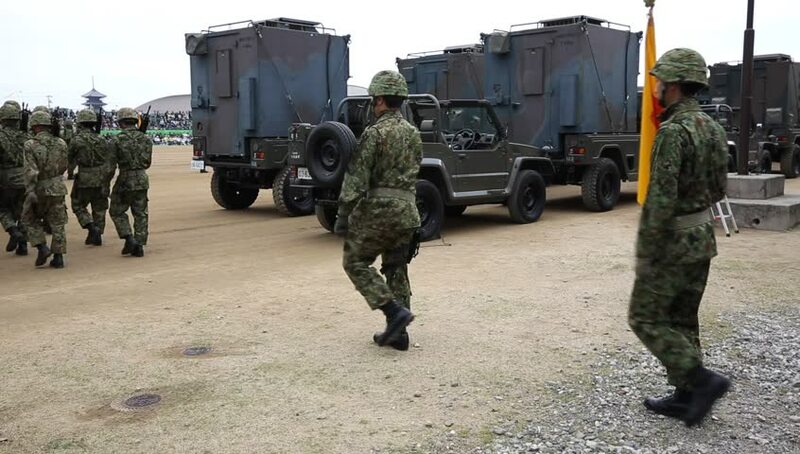 hd00:26KAGAWA, JAPAN - APRIL 29, 2014 : The celebration day of military base was made in Kagawa Prefecture. Soldiers marches for a parade of military. Apr 29, 2014 in Kagawa, Japan. hd00:15MOSCOW, RUSSIA - AUGUST 14, 2014: Pile Driver is working on military site. hd00:30FOUNTAIN GREEN, UTAH 30 JUL 2012: Home house flooded with water and mud from flash flood. Pump truck. Friends and volunteer help clean destruction. Destructive nature force. Church service. hd00:17TIM GAJSER MAKOLE-September 2016 There is a security guard standing in front of the stage. We can see a motorcyle there, too and a large crowd.